It has inspired an incredible English project where we deconstructed the model text from the film before writing and performing our own audio descriptions over one of my favourite clips from Infinity War. There are so many possible ways in which this idea can be adapted to different films with audio descriptions. If you're interested in more detailed tutorials to create this, sign up to MrPICT.com. 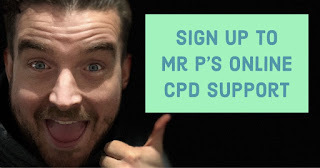 Over the past couple of weeks, I have added the option to subscribe directly through the website. 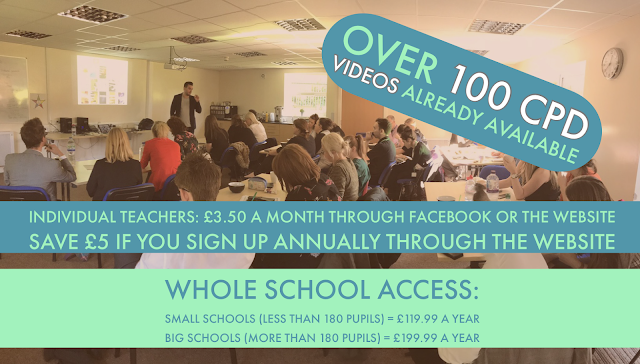 There is also the option to subscribe as a school so your whole staff can access all the training videos and content. 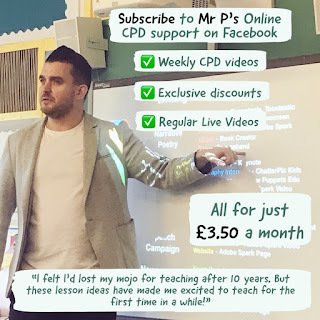 Individual Teachers: £3.50 a month through the website or subscribe annually and save £5. Last half term, Year 4 were looking at Digestion. As always, I wanted to explore how technology can be used to enhance learning and allow them to creatively share what they have learnt. There are some fantastic consumer apps that can help with this including the fantastic Curiscope Virtuali-tee app I have previously blogged about here. For a more in-depth tutorial for this tool, including an exclusive discount code to subscribers, click here. There is also a fantastic Google Expedition that links to the Digestive System which allowed the learners to jump inside the body to learn about each part of the digestive system and the job it does. Again, you can access an in-depth tutorial through MrPICT.com here. Once we had used these consumer apps to acquire knowledge, I wanted my students to use the technology to create content to show what they have learnt. This is what my pupils created using a range of apps such as Doink Greenscreen, Apple Clips and Shadow Puppets Edu.